Blinds, including vertical, venetian, roller, pleated and conservatory roof blinds. Probably still the most popular window blind in the market place today, with an ever changing array of fabrics, colours and designs to suit your requirements. Vertical blinds control the light, provide privacy and create a clean-lined, well-proportioned look to any room. louvre widths available 89mm or 127mm. Fabrics - Blackout, Fire Retardent, Washable, Sunscreen, Polyester, PVC, Woodslats and Fibreglass. Electric operation with remote control. Silent Gliss Vertical blind systems. Curved tracks for Bay or Arched topped windows. Reliable and versatile, the venetian blind is a classic for any environment. Aluminium 16mm 25mm 35mm and 50mm slat widths, in dozens of colours, including special effects and woodgrain. Timber (Basswood)- 25mm /35mm /50mm / 60mm slat widths, standard paint or stain colours or custom paint finished in a Farrow & Ball or Dulux colour to match your decor. Roof blind systems, for both internal & external applications. Intu blind system for upvc windows and doors,(fixed with no drilling required). Enormous choice of fabrics available - Energy Saving, Thermal, Solar Control fabrics, Fire Retardent, 100% Blackout, Sunscreen, Prints & Weaves. Decorative bottom finishes, with options of scallopes / poles etc. Custom blinds made up from customers own fabrics. Silent Gliss and Velux roller blinds. Intu roller blind system for upvc windows and doors, (no drilling required). Electric Roller Blinds, remote control roller blinds with battery stick and Somfy motor, no wiring required. Pleated blinds are versatile and functional, with clean lines and narrow fabric gaps, and ideal for odd shaped windows. 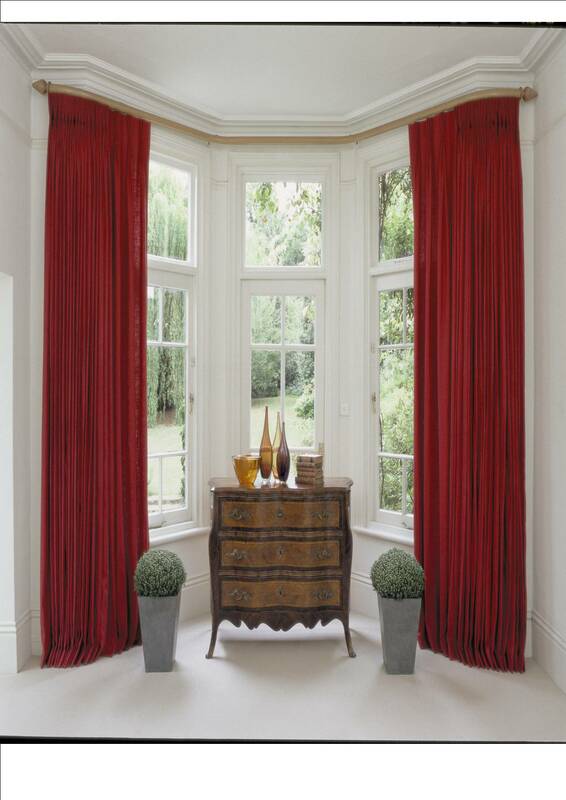 Particullarly suitable for conservatories, where roof, window and door blind fabrics can all match. Fabrics - Thermal, Energy Saving, Translucent, Sunscreen, and Solar Control. Intu pleated system for upvc windows and doors, means no drilling required. Electric operation available for conservatory roof blinds or high level windows. 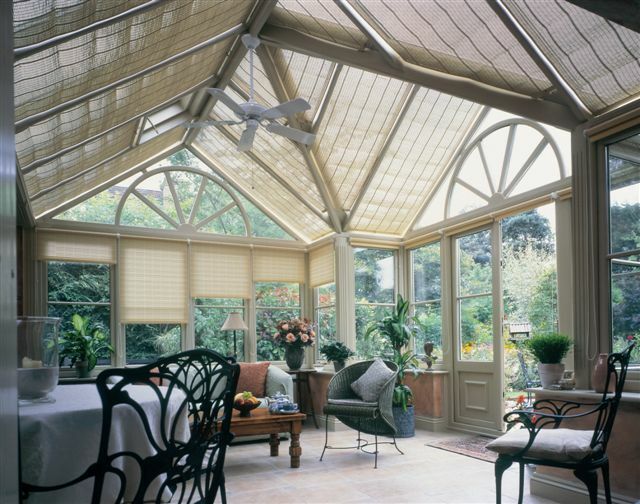 Conservatory blinds help create the look and atmosphere, a practical an essential component, with a wide choice of fabrics, woodweave or aluminium, for the roof and perimeter windows. Options include Pleated blinds, Rollers, Venetian blinds, and more popular than ever Roman blinds in woodweave / pinoleum style (as picture shows). Internal / External types - Electrical operation available,(see also Awnings ). Fabrics - Solar Control, Sunscreen, Energy Saver, Pinoleum, Woodweave. Intu Pleated system for upvc windows and doors(means no drilling required). 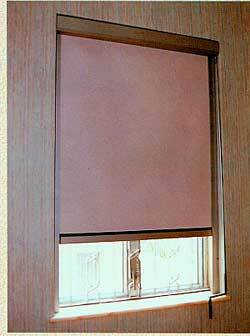 Framed blackout blinds give 100% blackout. Most common uses are for Schools, Universities, Laboratories, Hospitals, Conference Rooms, Home Cinema, Photographics applications, and even Bedrooms. Choice of operating systems include Cord / Gear and Electric operation. Coloured Frames available to coincide with decor and fabrics. Also suitable for Roof, Sloping or Horizontal windows. Insect and Bug Screens for both commercial and domestic applications, especially where food preparation areas are involved. Types avaiable, Rolling Sreens,Framed Screens and Doors, Hinged, Lift Out, Fixed, Sliding Screens, Free Hanging Strips, and Chain Screens. Mesh types include, PVC coated fibreglass (standard), Aluminium, Stainless Steel, Heavy Duty Polyester and new (Poll-Tex) ideal for pollen allergy sufferers. Picture shows 3 pane slider. 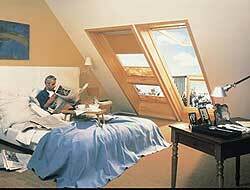 Velux offer a full range of blinds made especially to suit the Velux window range. Choose from Roller blinds - including Siesta Blackout, Pleated and Venetian blinds. Roller Blinds made up from our own fabric ranges, onto Velux Kits, gives even more choice. All types of curtain tracks for both the home and commerse. The full Silent Gliss range, including Cubicle Tracks for Hospitals, Doctors surgeries,etc. Tracks bent or shaped for Bay or Arched windows. Corded Tracks, Manual or Electrically operated curtain tracks, including remote control. Heavy duty tracks for stage curtains or very long heavy weight curtains. Curtain making,including Austrian and Roman Blinds made. Curtains for the home and curtains for the private sector, Hospitals, Schools, Hotels and Guest Houses, meeting rooms. Fire retardent fabrics, around hospital beds, doctors surgeries, libraries, hotel rooms, village halls etc. Special linings, blackout, thermal and acoustic. Shower curtains for the commercial sector.